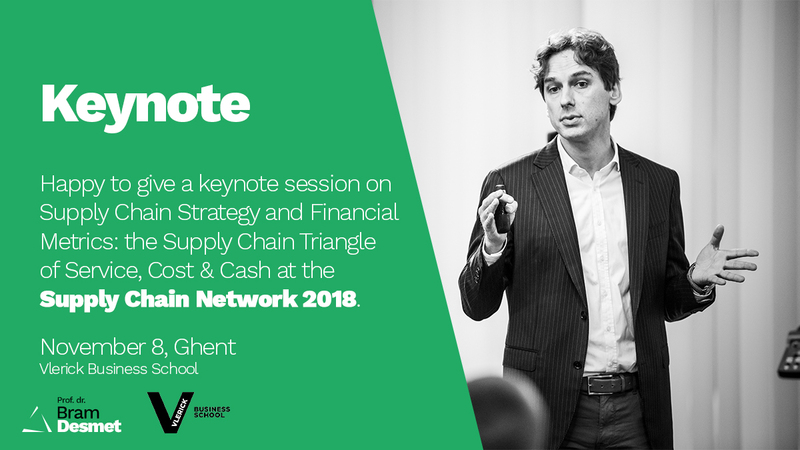 During the Supply Chain Network 2018, organized by Vlerick Business School, Prof. dr. Bram Desmet will give a keynote on Supply Chain Strategy & Financial Metrics: The Supply Chain Triangle of Service, Cost & Cash at the Vlerick Business School in Ghent, on November 8th. Vlerick Business School is an international business school located at the heart of Europe and is ranked number 1 in the Benelux for Executive Educational Programs and 19 in Europe. More than 7.250 executives from all regions and countries join the customized educational programs on Digital Transformation, Healthcare, Energy & Financial Services or Entrepeneurship & Innovation. For more information, visit https://www.vlerick.com/en.